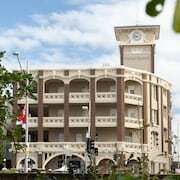 Great location and price Fantastic price, great to have free secure parking. Easy walking distance to the beach. Staff friendly. 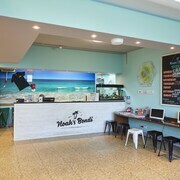 Located in Sydney Eastern Suburbs, this hostel is steps from Bondi Icebergs and Bondi Beach. 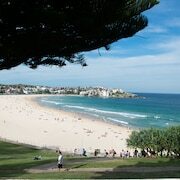 Tamarama Beach and Bronte Beach are also within 1 mi (2 km). 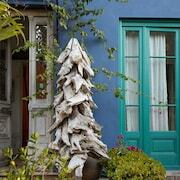 Perfect homely and comfortable At great location. Relaxed, homely, private and perfect location for running, swimming (pool and ocean), great cliff top walk, food offer was diverse and really good. People were friendly. I was on a business trip and this little Beach House made me feel like I was on holiday. Would come again tomorrow. 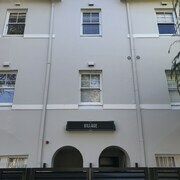 Looking for somewhere nice to stay in Sydney, the capital of New South Wales? 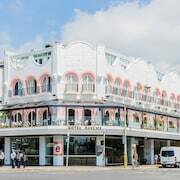 Whether you're on a cheap wine or vintage champagne budget, you'll find the ideal hotel in Bondi Beach, 6 kilometres from the centre. Sure, you could spend your whole holiday doing nothing but relaxing with your feet up and a refreshment in hand, but you'd be really missing out. Sydney boasts some incredible sights, like Bondi Beach, Sydney Opera House and Sydney Harbour Bridge. Don't skip them! Gather information about the region's past inhabitants and discover age-old remnants at Aboriginal Rock Engravings, an archaeological dig site. After a big day of sightseeing, you won't need to travel far to find a place to crash. 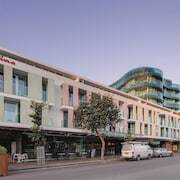 The Adina Apartment Hotel Bondi Beach Sydney and Ultimate Apartments Bondi Beach are some fabulous options to check out nearby. Jump into the water at Ben Buckler Point! It's a superb way to have a bit of a workout. 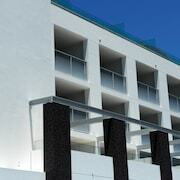 You'll also discover good accommodations within close reach of this sight, such as the QT Bondi and Hotel Bondi. 'Don't ask me to do anything until I've had my coffee fix'. 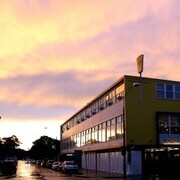 If this sounds like the type of thing you'd say, you'll be happy to know that Cafe Bikini is just a stone's throw away. A quiet night is possibly the go, but if you need a hearty meal beforehand, Bondi Hardware has an awesome menu. Don't get your knickers in a knot if you can't secure the ideal Bondi Beach hotel room. You'll discover more options nearby. The Top-rated Area in Sydney is around 0.3 kilometres from Bondi Beach, and Bondi Beach - Bondi Junction is 0.7 kilometres away. So, what else do you need to know? Whether you're looking for a weekend away with the squad or a no-return spiritual odyssey, lastminute.com.au is here to make it happen.